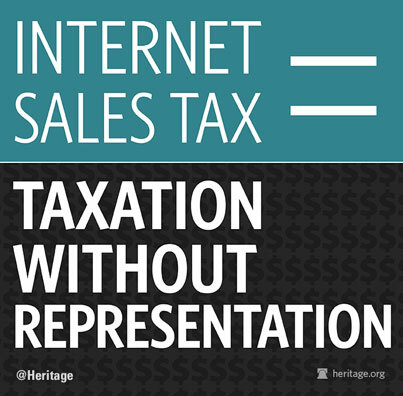 Every time Congress has taken a serious look at proposals to boost Internet sales taxes, it has rejected them. That’s probably why pro-tax Senators are trying to rush through an online tax hike with as little consideration as possible. As early as Monday, the Senate will vote on a bill that was introduced only last Tuesday. The text of this legislation, which would fundamentally change interstate commerce, only became available on the Library of Congress website over the weekend. And you thought ObamaCare was jammed through Nancy Pelosi‘s Democratic House in a hurry. The drivers of this rush to tax are Wal-Mart and other big retailers that can more easily absorb the costs of collection than can smaller competitors. Also supporting the bill is Internet giant Amazon, which coincidentally now sells its own tax compliance service to other merchants. Adding to the lobbying muscle are state and local governments. The politicians believe they’ll collect tens of billions of dollars in taxes that are already owed by shoppers on remote sales but rarely paid. So big business and big government are uniting to pursue their mutual interest in sticking it to the little guy. Any Internet seller with more than $1 million in annual sales would be forced to serve all of the nation’s tax collectors. Which is pretty much what Adam Smith predicted in Wealth of Nations. I’m sure that the taxing agencies will collect more tax dollars, but at the expense of driving small internet based businesses out of business. I wonder if the added cost of government support for bankrupt business owners and employees is more or less than the projected increase in tax revenues, never mind the actual increase in revenues. The Washington Times is reporting Arpaio’s opponents are having trouble obtaining the number signatures they need in their petition to recall “America’s Sheriff” Joe Arpaio. Volunteers’ latest effort took place at a music festival, targeted for its huge crowd size and liberally-minded attendees, The Associated Press reported. But shortly after setting up camp, recall workers found themselves facing an even larger opposition group: Supporters of Mr. Arpaio turned out in droves and drowned out the recall workers’ rally calls, AP reported. At the end of the day, pro-recall workers only netted 100 signatures — far less than anticipated for such a heavily attended event. The union-backed recall drive started in January, and anti-Arpaio forces are reportedly far behind in their goal. They need to collect 335,000 signatures by May 30, and are having to rely primarily on volunteers due to the fact that the effort is not attracting much in the way of donations. This is good and is another illustration of the ‘Silent majority’ getting off their posterior analytics and on the ball. This is one possible response to the Lefts ongoing efforts to continue their march to despotism. 2.) Expose the rifts between unions and various other factions and groups fighting for smaller pieces of the fiscal pie and sow discord within their ranks. Go read them all, then run your OODA loops and get going. (Observe, Orient, Decide, Act) No time to review these this morning, will do so later and post an update later. 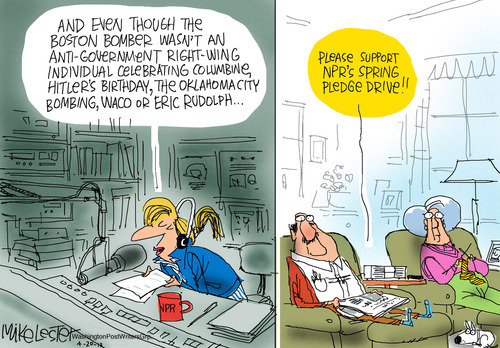 Perhaps the biggest mistake conservatives make is to engage the Left rationally. Leftism is a religion, a worldview, an attitude, a community. It is a doctrine and a church. It dispenses comfort, support, certitude and salvation. Don’t come at with statistics, facts and figures. Those will bounce off like peas of an Abrams tank. You must come at it with a rival set of feelings, a package of meanings they can embrace. You must offer them redemption. That’s why Islam can convert leftists. Or leftists can convert Islamists. They are simply switching religions. They are not engaging in a rational exercise. We live in the most religious period in the history of the race. People want paradise on earth, 72 virgins, the Mothership, Xenu, Gaia and who knows what else. 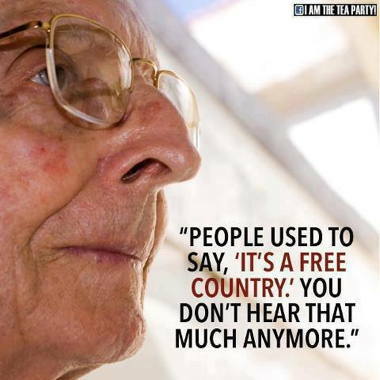 And if all you have to offer them is cold statistics and facts you will never get them to see anything. Your humble (I can hear my wife now, “Humble! Give me a break!”) correspondent has long advocated the application of the mechanism of Alinskyis pestis against its disseminators. Steal their methods, their tactics, their strategies. Wretchard advocates going one better, which I would view as complementary: steal their language. Just as a vaccine is made of dead or dying germs, so the antidote to Alinsyis pestis might, I would even say “must” be made from the raw material of the parasite itself. In the 1340’s Asia, India and the Middle East were swept by a great pestilence that reached Europe in 1347. From as single point of contact, the city of Genoa, the disease spread across Europe where it was known as the Black Death. It killed approximately 20,000,000 people, between 25 to 30 percent of the population. It nearly destroyed Western civilization, it did shatter its soul. The disease was caused by a bacillus called Yersina pestis, transmitted by fleas, carried by rats and other mammals, including humans. At that time the germ theory of disease was still more than 500 years in the offing, people had no idea what what was causing it, still less how to control or remedy it. But because causation is built into the human mind, they started inventing causes: sin, Jews and witches being perennial favorites. Consumed by horror and terror, guided by ignorance and desperate conviction, they flailed about applying a wide variety of utterly useless cures and solutions to an evil they could not see, only name. Nothing worked. Nothing could work as all solutions were absolutely unconnected to the real causes. 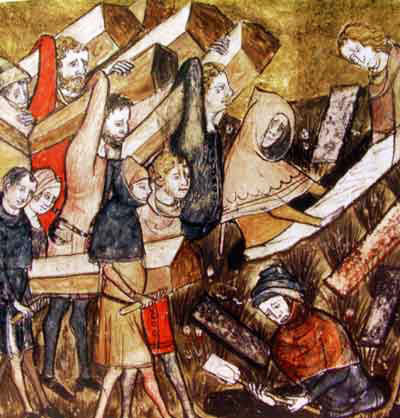 Thus ended the Medieval Christian civilization in Europe, it would be 100 years before the depleted and scarred descendants of the survivors would begin to rebuild, and when they did it was with a fearful eye cast back on the catastrophe that was the Black Death. Like our distant ancestors, priest, peasant and noble alike, whose understanding was limited by their ignorance of the microbial world, our own incomprehension of the crippling ills that afflict our nation, culture and civilization are unknown to our intelligentsia, media and political elites. Political Correctness is the Yersinia pestis of our time, a mental parasite derived from Marxis pestis that has evolved and multiplied and spread widely through our civilization, culture and nation. Probably the most virulent strain is Alinskyis pestis whose most insidious symptom is that those infected by the disease are prevented by the disease from recognizing their own infection and the infection of others so afflicted. Examples abound. We are no longer allowed to think of Islamists or militant Islam, references to which have been carefully purged from the FBI’s training manuals. Certainly it was not part of the lexicon when Major Nidal Hassan committed ‘workplace violence’ when he shot up Fort Hood while yelling “Allah akbar!” We are not allowed to say “illegal alien”, but must say “undocumented American.” That there are people who seriously believe this claptrap is hard for the sane to believe, but there are, and lots of them. These are the people who hoped and prayed that the perpetrators of the Boston bombing would turn out to be “White Americans,” Tea Party members or some other right wing bête noir of the Loony Left, and were surprised and disappointed when reality set in. All the while there was no evidence that was the story, or rather, the narrative; they were free to broadcast their mental disease to the world, and once the facts killed the dream, well, on to the next one. But facts not withstanding, they continue to believe that right wing, Tea Party, Republican, white, gun toting, Bible thumping Americans are the problem. For some, no amount of cognitive dissonance can break the hold the PC memes have on their minds. Some, yes, will be ‘mugged by reality,’ but because the indoctrination has been so pervasive for so long it takes an awful lot of reality moving very fast to make a dent. Left to itself any parasite will multiply until it consumes the host and both perish. Usually some hosts organisms survive this crash because they develop an immunity and pass that resistance on to their progeny; the species survives, though the majority of is members die. Our culture, saddled as it is with so many in positions of authority infected with Alinskyis pestis, is likely to experience such a crash. At that point the majority of survivors, having been slammed by implacable reality, will develop a belated immunity. Richard Fernandez over at The Belmont Club says, “We have to wise up. Why have we not until now? Because we have forgotten common sense; unlearned the idea that to win means waging mental strife so that the sword can sleep in your hand. That we can’t fight the enemy by “law enforcement”. Why did we miss something so plain? Because it required the recovery of old idea: if you are trying to kill me then you are my enemy. And if you are my enemy I will fight you.” Which calls to mind Napoleon’s maxim that in war the moral is to the physical is as three is to one. I have long been of the opinion that in all things the spiritual is the the physical as three is to one. Alinskyis pestis removes the spiritual from the equation. Or, more accurately replaces one kind of spirituality, the liberating spirituality that hopes for life and joy and love, with a totalitarian spirituality of fear, death and despair. Margaret Thatcher’s granddaughter Amanda’s reading at Mrs. Thatcher’s funeral highlights the fact that we are at war, who and what the enemy is and who our allies really are. Whether Christian, Jew, agnostic or any other persuasion, the facts are the same. Alinskyis pestis has no medical, psychological or intellectual cure, for it is at root a spiritual disease and admits of only a spiritual cure. Whatever other tactics, weapons or means may be employed in its defeat, it is in the field of the Spirit that the battle rages, win or lose, the stakes for which we contend are precisely those of the soul. Ain’t that the sorry truth? Miss Cellania has a fascinating video, shared below, of Edwardian England and Ireland. This footage was filmed around 1900 in the cities of London, England, and Cork, Ireland. However, it doesn’t look like any 100-year-old film you’ve seen, because it’s been altered to make it more like being there than the film technology of the time could produce. Every one of these people is dust, what we see are ghosts in a box, drawn in life from beyond living memory. Why so few terrorist attacks? Stars and Stripes has a very concise article by David H. Schanzer answering that question. The fact is that despite the recent Boston attack, the US has very few terrorist attacks, especially given that we are wide open, free wheeling society compared to most of the world. Go read. While the horrific bombing at the Boston Marathon has brought concerns about terrorism back to the forefront of national attention, it is worth remembering that terrorism inside the United States is exceedingly rare. Over the past 40 years, about 11 people per year have been killed by acts of terrorism (excluding the 9/11 attacks). To put this in some context, over 122,000 Americans died from accidental injury in 2011, while 53,000 died from the flu and pneumonia. Terrorism is also rarer now than in past decades — there were 1,357 terrorist attacks in the United States in the 1970s, but only 168 in the 10 years after 9/11. What happens when you wring out a wet washcloth in zero G? Now you know.